Well experienced tour guide here. Planning to visit Almaty, Kazakhstan? 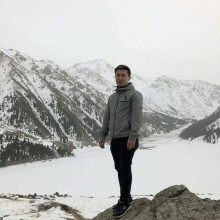 Let me be your tour guide for as I'm eager to share my love to Kazakhstan with you. I'm 26, person who loves reading, hiking and partying. My english skills are advanced, can talk on politics, sports, music, films, tv shows, history of Kazakhs and USSR.